The present church was built in Gothic Revival style between 1916 and 1949. The name Laja comes from the name of a type of flat sedimentary rock similar to shale. 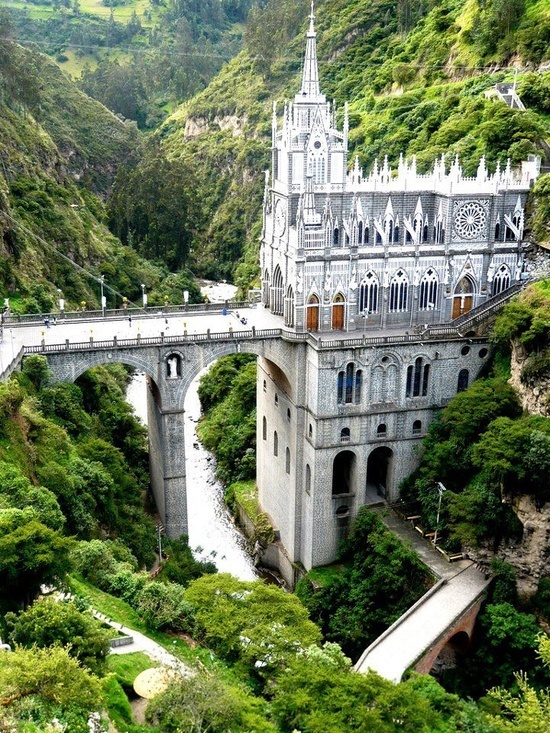 In 1951 the Roman Catholic Church authorized the Nuestra Señora de Las Lajas Virgin, and it declared the sanctuary a basilica in 1954.